These swarming garden and field pests contain a toxin that can severely injure livestock if swallowed. Learn safe, organic solutions for effective blister beetle control here. Blister beetles are a common field and garden pest best known for the welt-raising secretion they release when injured or crushed. The secretion contains a blistering agent known as cantharidin, a substance used to treat the lesions caused by pox virus. Cantharidin is so effective at destroying tissue that it’s used in wart removal products. Catharidin is toxic if swallowed. It persists in dead beetles long after the hay they infested has been dried and baled. Horses are particularly susceptible to the poisoning. Depending on the type of beetle, as little as four to six grams of dead insects can be lethal. Humans who ingest the pest can expect severe damage to the urinary tract and gastrointestinal lining. Keep an eye on children who put things in their mouth if blister beetles may be present. 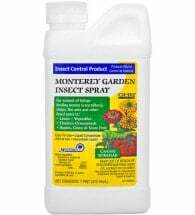 In addition to the threat presented by its toxicity, the beetle does damage to both garden and commercial plants, consuming a variety of leaf crops, plant blossoms, landscape flowers and hay crops. 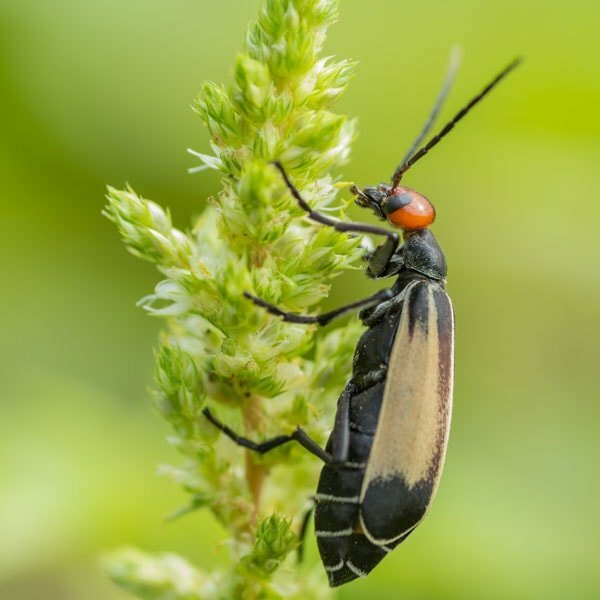 Proper identification of blister beetles in regards to various other kinds of non-toxic beetles that might resemble them, such as the asparagus beetle, is important to protecting livestock and preventing crop damage. There are some 250 kinds of blister beetles, members of the family Meloidae, spread across the U.S. Various types of the beetle are common in the east, south and midwest. They’re also found in the grasslands of the west and southwest, and in gardens along the Pacific coast. Adult blister beetles vary in size and coloring. Most are one-half to one inch long with long, soft bodies and wide heads with antennae a third as long as their bodies. The prothorax between the head and the body is narrow and resembles a neck. The wing covers are soft and flexible, and the legs are relatively long. Coloring can be bright and variegated, striped or flat. Striped blister beetles are shades of gray and brown with yellow stripes running lengthwise on its wing covers. The ash-gray blister beetle is completely gray. The black blister is completely black. The margined blister beetle is black with a gray to cream band around the edge of each wing cover. The University of Illinois Crop Sciences division has illustrations of these four common types here (notice how tightly their wing covers come together). And here’s an illustrated list of various blister beetles found in Florida that can also be found elsewhere in the U.S. Adults begin laying eggs in mid to late spring and continue through most of the season. A female will lay one or two hundred eggs less than a millimeter wide and one to two millimeters long just beneath the soil surface. The eggs hatch in two weeks or less. The emerging white larvae have relatively long legs which they use to seek out clusters of grasshopper eggs to eat. They go through various instars or stages as they feed, losing their mobility and feeding less as they mature. Some larvae will go through six and seven instars before pupating but most go through four or five. The larvae darken as they mature. Adults emerge from the pupae stage after ten days. Larvae reaching pupae stage in the fall can overwinter just beneath the soil. They commonly live as long as three months. Females are able to produce multiple egg clusters throughout their lives. It’s toxic effect on livestock, known as cantharidin toxicosis, is the greatest threat posed by blister beetles. Infestations of alfalfa and other hay can ruin it for sale or feeding. Growers of hay and feed crops should take all precautions (short pdf, scroll down) to monitor and prevent infestations. The beetles tend to cluster together as they feed, increasing the chances that one or two hay bales will contain concentrations of the insects. Care should be taken when buying hay as well. Find out if blister beetle infestation can be a problem in your area and inspect what you buy carefully. Blister beetles will feed on just about any leaf that grows in your garden. They’re found on tomato, potato, eggplant, peppers and other solanaceous vegetables as well leafy greens. In mid and late summer, they can arrive in swarms, seemingly overnight and because of their numbers, will do great damage in a short time. Blister beetles also do damage to grasshoppers, one of the most destructive farm and garden pests. Newly hatched beetle larvae use their legs to seek out clusters of grasshopper eggs to feed on. In this sense, blister beetles can be considered a beneficial insect, but only in the larval stage. Once they become adults, they’re nothing but trouble. Frequent and careful inspection of home gardens can go a long way towards controlling beetle damage. Their numbers increase gradually in the growing season’s early months, and an observant gardener can keep them from doing much damage. Come July, a garden can be suddenly over taken by hordes of leaf-munching beetles. They usually work in large clusters, gathered on the edge of potato patches and lettuce rows. It’s best to remove as many beetles and the plants they’ve damaged as soon as they’re spotted and before they spread. Once well-established, they are almost impossible to eradicate completely, even if chemical or other toxic sprays are used. Hand-picking can be effective in home gardens, particularly when their numbers are low. But never handle blister beetles with bare hands. Always wear gloves. Brush the beetles off plants into a small container with some soapy water. If shaken from plants, the beetles will often lie in the dirt and play possum rather than scurry away. Take advantage and gather them carefully. Beetle infestation often occur at the edges of gardens or in surrounding vegetation. Keep grass, weeds and other growth trimmed around the margins of your garden to remove the places where they might get started. Well-anchored row covers can keep migrating beetles off your plants in the mid to late summer. They will not stop early season adults who over-winter as late stage larvae in the soil. 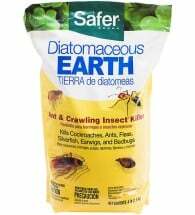 Use them if you notice clusters of beetles (or expect them) in and around your garden come July. 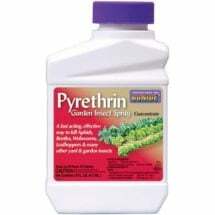 Pigweed (Amaranthus spp.) (PDF) is highly attractive to adult beetles. Keep it out of your landscape entirely. Suggest your neighbors do the same. Ironweed (Vernonia spp.) and ragweed (Ambrosia spp.) will also draw beetles. Birds will take blister beetles right off your plants. Encourage them to visit and feed in your garden. Respect them by not using sprays or chemicals that might do them harm. If handpicking doesn’t keep their numbers down, use sprays containing Spinosad, an OMRI-listed biopesticide that kills within 24 to 48. Spinosad breaks down into inert ingredients within two or so days when exposed to sunlight, keeping it out of the water supply. 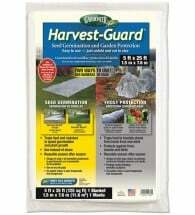 It’s non-toxic to birds and fish but can harm honeybees when first applied. Read the product label and time your applications accordingly. Grasshoppers attract blister beetles whose larvae feed on the grasshopper’s eggs. 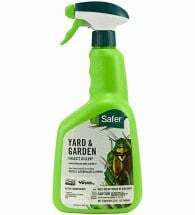 Keep grasshoppers down using Semaspore Bait or other natural grasshopper controls. This is especially important in hay crops grown for feed. Presence of grasshoppers in feed crops can be a tip-off to early stages of blister beetle infestations. Most controls for feed and grass crops, including spraying, can’t entirely eliminate the insects or the threat they pose. Keep an eye on your fields, especially at the edges and clear out any sections in which beetles appear. When haying, avoid using implements such as hay crimpers that may crush the insects. If you noticed beetles in your fields, let cut hay lie for two or more days to allow them time to abandon the hay. First cuttings, made before the beetles have increased their numbers, are generally safer than cuttings from later in the season. Finding a reputable grower is your best bet when buying hay. Even the most careful examination of bales and hay flakes may not reveal a hidden danger. Know your farmer well enough that you trust her when you ask about signs of beetles in her crop. The best answer is no.